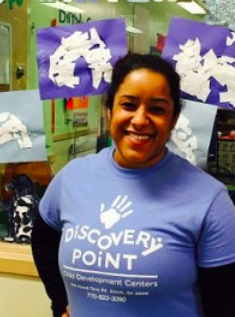 Ms. Jennifer has worked as the Director of our Discovery Point #3 since 2017, and has several years of experience in childcare management. She holds a Bachelor’s degree in Social Work and Psychology and an Associate’s degree in Early Childhood Education. She is a military spouse and has three children, Galilea, Henry and Charlotte. 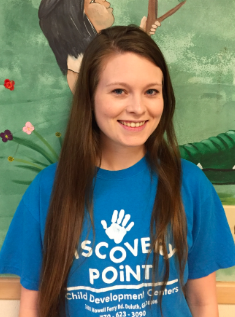 Ms. Lauren joined our Discovery Point #3 team in May of 2018. 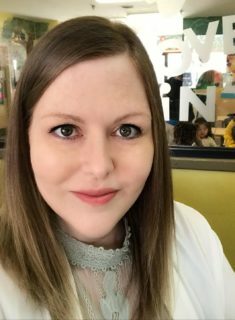 She has a back ground in law and over 15 years of experience as an office manager with a local non-profit organization. Lauren has always had a heart for children, and enjoys traveling internationally to work with orphanages. She stays busy raising 3 growing boys. 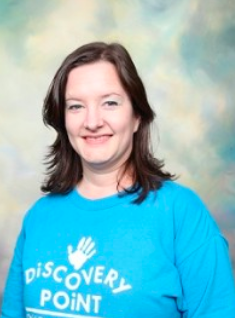 Elizabeth has worked at Discovery Point since 2007. She holds a Technical Certificate in Early Childhood Education from Southern Crescent Technical College. Elizabeth and her husband Andy have three children Drew, Ryan and Raleigh who attend Discovery Point. Genevieve holds a Bachelor of Arts and is currently working on her Master degree. 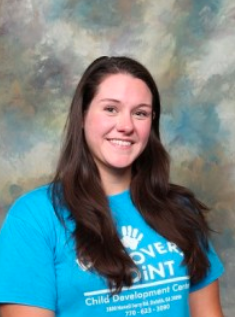 She has also worked in the administrative staff of the High School Girls division at Interlochen Arts Camp since 2011. 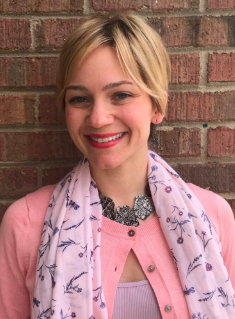 Ms. Hannah holds a Bachelor’s Degree in Early Childhood Education from Western Governor’s University and an Associate’s Degree in Art Georgia Perimeter College. She’s also a certified yoga instructor and enjoys teaching both children and adults. 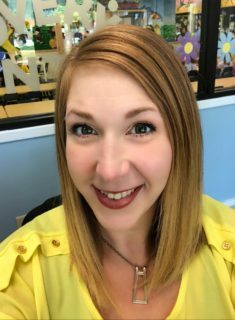 Ms. Hannah is currently in her 4th year as a Lead Georgia Pre-K teacher. She has 2 daughters’ in elementary school and enjoys the adventures of life with them! Ms. Kaci is currently pursuing her Technical Certificate in Early Childhood Education at Southern Crescent Technical University. She has worked at Discovery Point for 4 years. She has a son named Blake who attends our Georgia Early Learners program. Ms. Melissa, has worked at Discovery Point for 20 years. She holds a Technical Certificate in Early Childhood Education from Southern Crescent Technical College. Melissa and her husband Scott have two children Noelle and Josiah who previously attended Discovery Point before starting middle school. Michele has worked at Discovery Point for 14 years. She holds a Technical Certificate in Early Childhood Education from Southern Crescent Technical College. She has two children Michael and Courtney. 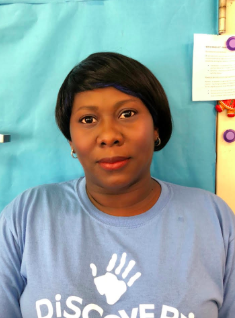 Ms. Roxann is originally from the Caribbean and has over 15 years of experience in childcare. In her free time, she enjoys spending time at the beach. 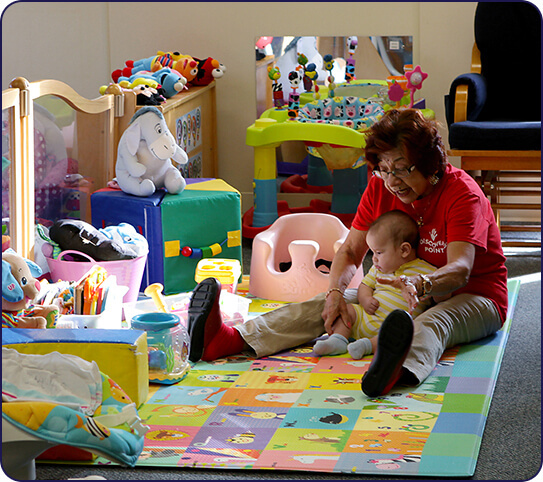 Ms. Roxann has a Bachelor’s degree in Architecture but has found her true calling to be working with children. 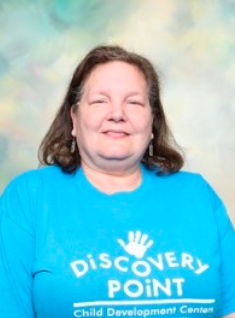 Ms. Susan has worked at Discovery Point since 2014. 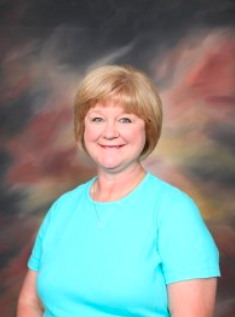 She is a certified teacher with over 33 years experience and holds a Master degree in Special Education. She has retired from the Gwinnett County Public School System but because of her passion and love for children she decided to come back and teach the Discoverers. Susan lives with her husband and two dogs Link and Laila in Suwannee. They have two adult daughters (Lauren, Emily) and one grandson (Jason).